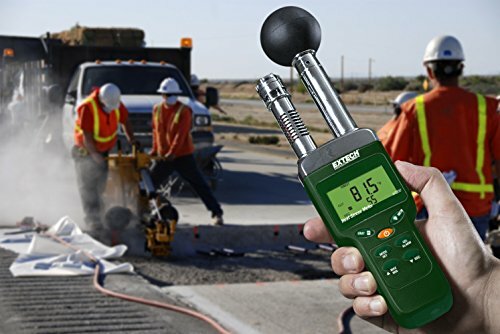 The HT200 is a Heat Stress WGBT Meter which enables accurate measurements for Wet Bulb Globe Temperature (WGBT), Black Globe Temperature (TG), Humidity (%RH), Air Temperature (TA), Wet Bulb (WT) and Dew Point (DEW). Heat Stress Index measures how hot it feels when humidity is combined with temperature, air movement and radiant heat. Stores up to 50 readings. Comes with 9V battery, carrying case and AC adapter.